Hugh Riminton’s new current affairs show begins next month at 9:30pm Thursday September 12th. We don’t usually get current affairs shows at this end of the week, but at least there will be softer competition. Hosted by TEN’s award-winning National Political Editor and Canberra Bureau Chief, Hugh Riminton, Revealed will feature interviews, profiles and investigative reports on a wide variety of topical issues. Exclusive stories from critically acclaimed news pioneer CBS News – recognised worldwide for its high-quality journalism and as the maker of the most successful current affairs series in television broadcast history – will form a key part of Revealed, along with compelling locally-produced stories. Revealed will draw on award-winning presenters and reporters from TEN News, including Brad McEwan and Danielle Isdale, as well as Hugh Riminton, to report on original local and international stories. implies that he may have killed his mate an Aussie Hero..This is enough to send someone back to that dark place.. What a grubby way to promote a story. I have just seen the “ad” for the new revealed segment and I feel sick to my stomach! You disgust me channel 10! Portraying a returned hero as a suspected murderer!?!? I know that soldier, I know his family and I have seen his pain. To those of you who don’t know him, he was deployed in Afghanistan when an explosive device was detonated remotely, this bomb killed his best friend and resulted in his own leg being amputated! And channel 10 are advertising an ad saying did this soldier kill a hero!? This soldier is a bloody hero! he deserves our respect, our praise and our honesty! You are rating seeking whores channel 10, this man is a hero, one who has fought for you to have the freedom of speech that you have so readily taken advantage of! I hope you’re find yourselves as ashamed and disgusted as I am! Brad McEwan is going to be a busy boy, 5pm News, Late News and now Revealed. 9 Feb 2007 – “Network Ten today announced the Nine Network would sub-license up to 25 US ’60 Minutes’ stories per year from TEN. TEN has exclusive Australian broadcast rights to US-produced ’60 Minutes’ content under its long-term program supply agreement with CBS. Six years ago…. I doubt it was an indefinite deal. “…the most successful current affairs series in television broadcast history – will form a key part of Revealed”. Will this not be the 60Minutes leftovers, since Nine has first pick? 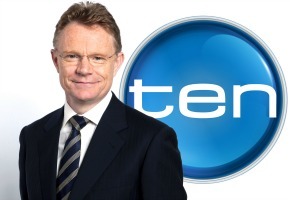 TEN has always on-sold US 60 Mins stories to Nine. Appears to be a shift. why not make is sunday night 8;30 ? Cheap local content replacing an SUV rpt, half of it from the US. I was looking forward to this but talk about giving it the graveyard spot.